Is it just me, or are groups shrinking today? 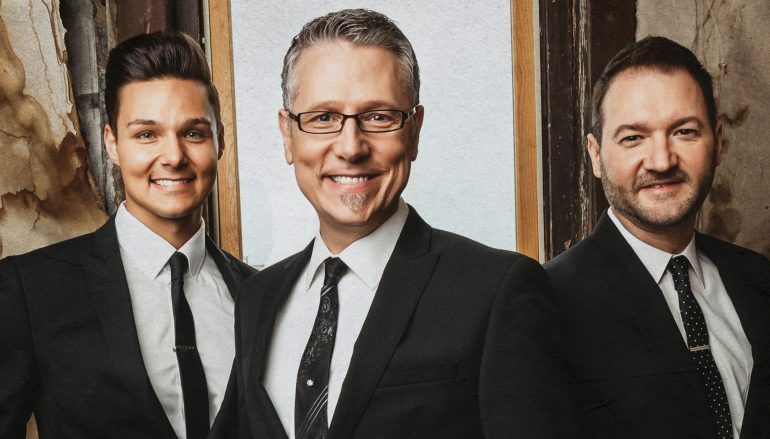 Brian Free & Assurance recently dropped from a quartet to a trio (at least for the time being) with the departure of bass singer Jeremy Lile, taking them back to where they started. At one point, BFA was projected as a six-person lineup including a pianist and drummer. Third Day, at one point projected as a five-piece band, is now down to three main members (Mac Powell, David Carr, and Mark Lee) with back-up stage musicians filling out the band (and studio musicians on record). Point of Grace, once a 4-part women’s group who had seen at least one member change, now is a trio following the retirement of founding member Heather Payne. 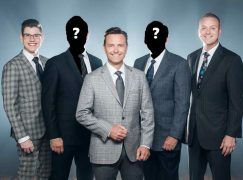 Ernie Haase & Signature Sound dropped their presentation from five members to four after the departure of Roy Webb on piano, although they still credit musicians David Griffith and Tyler Vestal as members on their website, along with Wayne Haun as producer/music director. Alabama, who was known for 20+ years as a four-piece band (despite Mark Herndon being a paid employee rather than a partner in the group) is now known as a trio with a back-up stage band (similar to Third Day). As they hired band members, The Oak Ridge Boys at one point were presented as an 8-piece musical entity, but this presentation was abandoned once they crossed over into country success, and the group has remained a quartet ever since. While they aren’t necessarily shrinking, The Inspirations have a habit of simply dropping members from album covers once they leave (even if the departed member is still singing on the album), leading to some confusion among casual listeners. Probably most notable is The Statesmen, who dropped from a quartet to a trio for a while following the death of Big Chief, although they did eventually become a quartet again. So, what is it? Are groups finding it cheaper to just carry on with fewer members? Are they still charging the same appearance rate and just splitting the pot in fewer directions? In the cases of Alabama, and Third Day, are they simply putting the group owners/partners out front? Or is it just that hard to find good talent today that it’s easier to just go without? 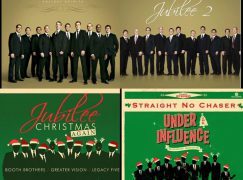 The Kingsmen, had at least eight vocalists and band members on some album covers. At the moment, they’re a 3-man quartet (with an off-stage sound man/manager and a fill-in tenor). Gold City also had at least eight on one cover. They’re a 5-man group now. Triumphant was a 5-man group until the departure of Jeff Stice. They’re still a 5-man group now, but the musician is not pictured on album covers any more. I was also reminded of Crossway, which started out as a promising new Quartet, went through some member changes, and dropped to a trio, then a duo before it was all over. Speaking of the Oak Ridge Boys they still have a band.. I remember when most of the groups were 5 members. Quartet and a piano player. The Lefevres were the only ones having a live bad, even though most of the members played the instruments. Then I watched them add the bass guitar. And they grew to have a full band. That was in the late 60’s & early 70’s. That trend continued on into the 90’s with most of the groups having a band, except one, THE CATHEDRAL QUARTET, They never had a live band, they relied very little on soundtracks. 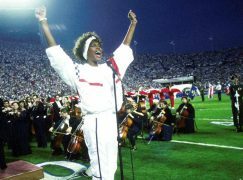 They were Classy and they were the greatest> Most of us still remember their concerts, but there is a generation that hasn’t knew such a classy and great act. There were three groups from the past who excellent in what they did, by being simple in concerts. The Statesmen Quartet with Hovie Lister, The Master’s Five and The Cathedrals. Now I ask is there a group who would attempt to do what these groups did in a concert with just Singers & Piano Player and maybe a bass player? You say times has changed? People expect more. What more does people expect than Good Singing. Not so much the arrangement, but Good Singing. At one time I would not miss any sings. I would drive a hundred miles to go hear a good sing. But 20 years ago things began to change. More groups started using the sound tracks and it wasn’t just the same. I guess I didn’t want to change, but I knew what I wanted to pay my money for and listen to.live. That’s why such groups as the Inspiration, the Primitive Quartet and the Isaacs appeal to me so much. I’m not saying the groups that use soundtracks can’t sing, cause they can> And I sure do love it when they turn off the can music and just gather around the piano and sing. Why are the groups getting smaller, I believe it is an expense issue. It Cost so must to be on the road. There are many attributing factors, but the groups are also stacking the audio so much in a concert that they are stacking a bass singer in mix and they expect us not to notice it. They don’t feature the bass singer or sing any noticeable bass songs, but you sill hear it.. You know what I am talking about. That is deceptive and God don’t bless deceptiveness. Why should I pay $20 dollars to have you play your cd for me, when I can just buy the cd or dvd and get the same thing and don’t have to spend money on gas and eating out or maybe stay in a motel overnight when you don’t give me anything different..
“Now I ask is there a group who would attempt to do what these groups did in a concert with just Singers & Piano Player and maybe a bass player?”…… Have you heard the Dixie Echoes recently? They have been doing this arrangement for quite some time. It really allows the vocals to shine, IMO. In the case of BFA, there already aren’t many good bass singers out there now, to say nothing of the even fewer bass singers that would fit the commercial/more contemporary image they embrace. Most of their songs don’t really require a bass vocalist anyway, so why hire a bass singer? My thoughts exactly. In their newer stuff, you could barely hear Jeremy in the mix. Daniel Ashmore is a very fine bass singer – and I suspect he lives in GA. I would sure like to see someone of his caliber with BF&A. 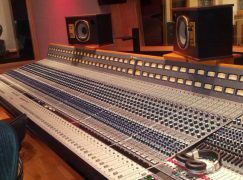 It would add quite a bit to a group that is perhaps a bit heavy on the high end – and definitely a bit light on the low end. You are right, Jeremy’s vocals were often buried in the mix. Reply	February 09, 08:38 #6 Rob W.
I will admit I forgot about the Dixie Echoes and I appreciate the way they are carrying on the quartet tradition. Yes I have heard them. How about the Dove Brothers? From five to nine then back down to three.